A 23-year-old kayak guide died June 14 in an attempt to rescue a client who capsized in the West Thumb area of Yellowstone Lake. Timothy Hayden Ryan Conant from Salt Lake City, Utah, was in a group of nine clients and three guides when the incident occurred. Conant was in his first season with O.A.R.S, a company based in Angel Camp, California, that has offered non-motorized boat tours in Yellowstone National Park since 1996. After receiving a call through the park’s dispatch center, rangers responded to the scene in a patrol boat and found Conant in the water. They brought him on board and started CPR en route to the dock. Conant was transported via ambulance to the helipad at Grant Village. An air ambulance landed to assist, but Conant was pronounced dead before taking off. The client Conant had attempted to save was rescued by other guides, transported to the park clinic and treated for hypothermia, according to a National Park Service press release. The release notes that there have been 41 deaths in Yellowstone Lake since 1894 and the average year-round temperature of the lake is 43 F.
Yellowstone National Park spokesperson Morgan Warthin said the preliminary investigation indicates that the rescue attempt occurred approximately 400 yards from shore. 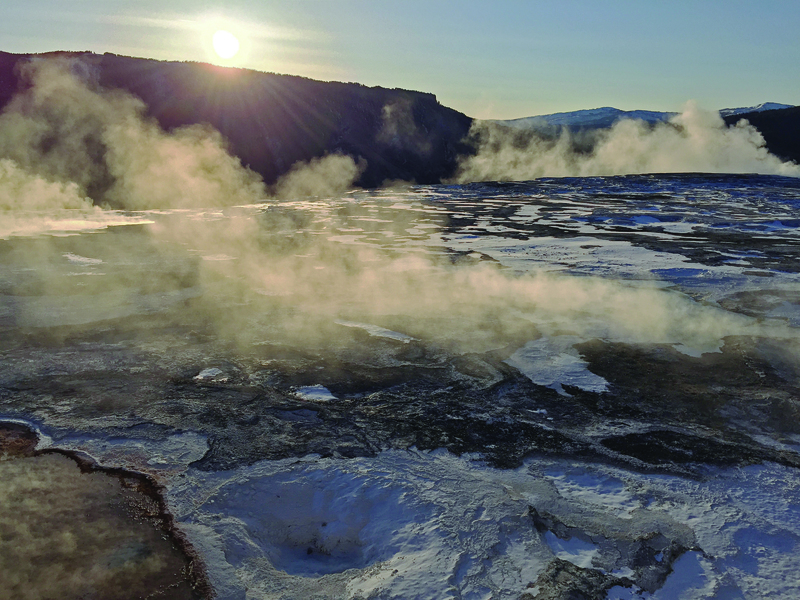 The day before, a 21-year-old Xanterra employee sustained severe burns after falling into a hot spring in the Lower Geyser Basin area just north of Old Faithful. Gervais Dylan Gatete, 21, of Raleigh, North Carolina, was with seven other people when the incident occurred late on June 13. Park staff provided medical assistance and transported him via ambulance to the airport at West Yellowstone. He was flown to the University of Utah Hospital in Salt Lake City to undergo burn treatment. Warthin said hot springs in Lower Geyser Basin can range from 180 to 199 F. Last June, a 23-year-old man died after reportedly falling into a hot spring after leaving the boardwalk in Norris Geyser Basin.